When I’m in a bad mood, I can listen to any one of his hundreds of songs, hear that unique, clear voice, and instantly be transformed into a better place. His wit, charm and effortless humor make me swoon. When he’s up on stage, between songs, telling stories the way only he can, I feel like I’m a part of the family. The interesting way he turns a phrase, uses emphasis and conveys honesty refreshes me. He is a poet and a cowboy and a gentleman. His music is pure art and I love how it doesn’t fit into any one genre. It is all heartfelt and real. It’s always about the music, but it’s also about having fun. His joy is contagious. His crooked smile and that twinkle in his eye – are invitations into his world where I love to get lost. Lyle doesn’t pretend to be anything but what he is. He surrounds himself with the most talented musicians and shares the stage. He highlights the Large Band and back-up singers, and gives everyone the spotlight they deserve. The way Lyle always dresses for the occasion, in his tailored Armani suits and authentic cowboy boots reminds me that he’s Texas cool and that just makes me proud. And don’t get me started about how when he uses his breath to hold a note, or inhale into a word, or exhales a sigh in just the right place, it makes me want to follow him into the sunset and live happily ever after. And then, I wanted to go back in time and tell her how warm and gracious Lyle was that time I got to meet him in person! It was a hot July day in Austin, Texas a few years later. My daughter and I were headed to the Paramount Theatre, downtown to see Lyle play with Robert Earl Keen. She was driving because Austin is her town. I had been following Lyle on Facebook for quite a while and noticed that he was posting pictures of the venues (beautiful old theatres and opera houses) and of fans, taken several hours before his shows on that tour. So I talked my baby girl into going early to see if we could catch him on the street taking pictures. “Oh my gosh, there’s his bus!” I screamed as we pulled up to the traffic light adjacent to the theatre. “Mom, that’s him standing on the corner,” She said. “WHAT? Are you sure? Oh! Oh! Oh! What do I do? I asked. “You get out of the car and go talk to him. NOW!” She practically pushed me out just before the light turned green. 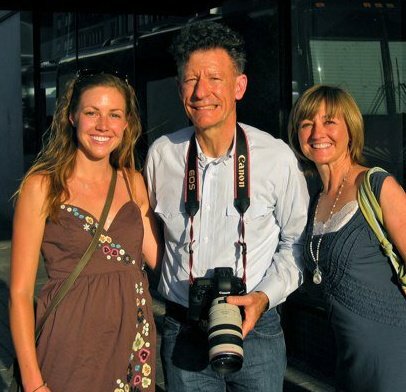 I don’t remember making my way across the street and approaching him, but the next thing I knew, I was standing a few feet away from Lyle Lovett! as he finished signing autographs and talking with some other fans. When those fans left, others took their place. I was just standing there, hadn’t been assertive enough and might have missed my opportunity. Soon, my daughter was at my side. She had parked the car and found me still standing at a distance waiting my turn. When the next opportunity presented itself, she stepped up and introduced herself with her infectious smile and bubbly personality. She and Lyle are both graduates from Texas A&M and had that in common, and talked briefly about their graduating years, and compared Aggie Rings. He then stuck out his hand and introduced himself to me. I took his right hand, and he covered our hands with his left and looked me in the eyes. When I said my name, he repeated it. We talked for several minutes, I tried not to gush, we took pictures, and we laughed, all under the blistering Texas sun. Sweat trickling off foreheads and pooling in crevices. He signed my ticket, thanked us for coming to the show and invited us to have a great time – which we did. If you ever get the chance to see Lyle Lovett live – with or without his Large Band – please do. You won’t be sorry. Until then, do yourself a favor and watch this video, and then go find more because it was so hard to just pick one! Are you anyone’s Biggest Fan? I hesitate to say this — because our friendship has become important to me — but while I was familiar with Lyle Lovett’s name and face, I had no real idea who he was. Please know that I have been converted, thanks to this post and the accompanying video. 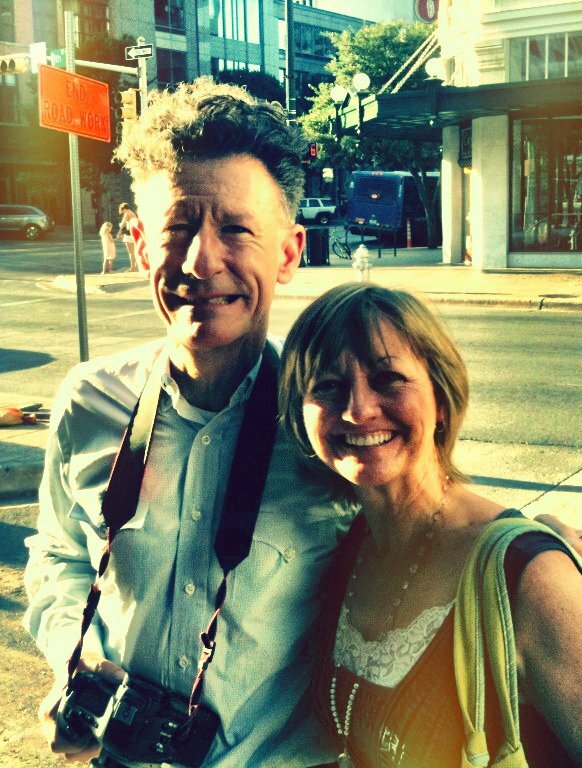 I must also tell you that I am now Lyle Lovett’s biggest fan. I’m happy to have enlightened you, but you may have just crossed the line with that last remark. Take it back and we can still be friends.